You buy an old house (or 6…) and it has mortise locks in the beautiful, old interior doors. But the last owner hasn’t left you a single skeleton keys. In their defense, the keys were probably lost long before they bought the house. But still, one lock-able door would be nice, even if it was just on the bathroom. What’s an old home owner to do? Well we’ve got you covered! Scroll down for the easy solution I stumbled upon last year! Last year I was at the amazing Hippo Hardware in Portland while working on Winnie’s bathroom, and I asked one of the employees this question: "How do you find a skeleton key for the interior door locks in your old house?" And turns out there is something you can do without getting out any tools. 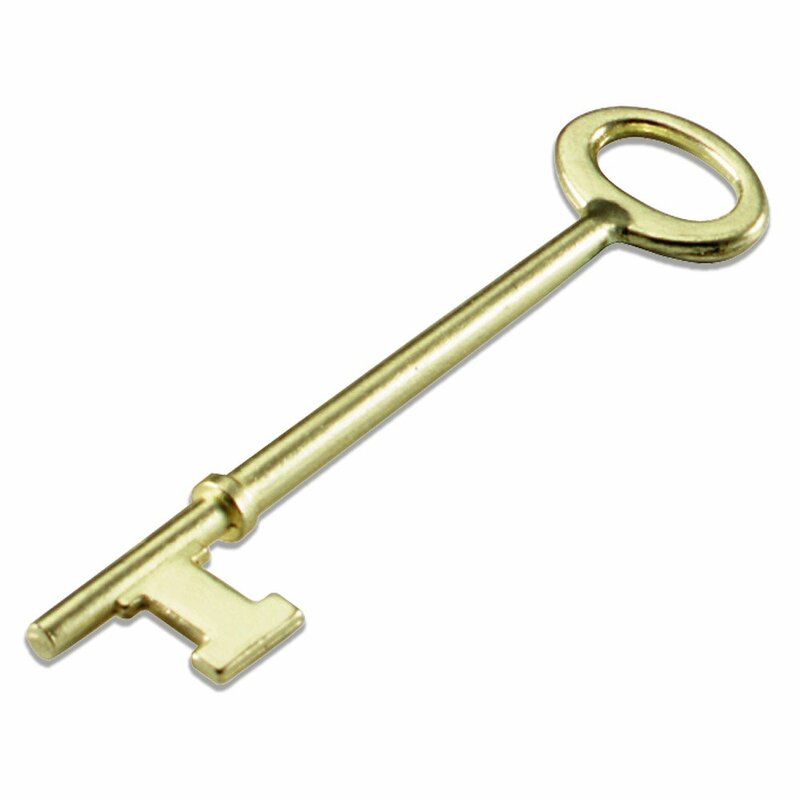 But before I get to that, let's run through a few basics about skeleton keys. Bow - the ring part at the end of the key that put a key ring through and/or hold. Barrel - the long tube that connects the bow to the bit of the key. Bit - the teeth at the end of the key that insert into the lock. According to the old-house guru I spoke to, there are 3 skeleton keys that account for about 90% of interior door locks (no such luck with exterior locks, btw). Essentially they are "master keys" for old homes. Isn't that convenient?! So we bought the three basic keys at Hippo Hardware, which you can conveniently find online and I’ve included links to below. We tried them in our locks at the Farmhouse and one worked! I have to admit, the key felt a little squirrelly in the lock, and I was thankful we tried the key while the door was open, since it was easier to lock the door than unlock it. If you're in a similar situation, I highly recommend you get these keys and try them in your locks (with the door open 😉). It's not guarenteed one will work, but the odds are with you. Once you find the key(s) that work in your doors, you can buy more online or visit a salvage shop and get the matching vintage versions. You could leave one key in each lock or on a hook next to the door. I have to admit, we’re not big lock people. So I haven’t bought any extra keys yet. But I would like to pick one up for our guest bedroom in case someone wants the additional privacy. We'd love to hear if this method works for you! Especially outside of the Northwest or in much older homes (I’m kind of curious if locks were different from region to region and exactly when these keys were adopted). Leave us a comment and let us know!